Strictly speaking, building an email list is optional. Except if you’re a self-publishing fiction author, it really isn’t. Whether you’re looking to get more readers, garner more support, or generate more sales, email marketing will help accelerate your progress. Activities such as launching your next book or encouraging positive word-of-mouth for your latest project will see better results too. While you’ll want to use a list management service such as AWeber or MailChimp, that’s just the first step. Email marketing takes skill, but it’s also useful to understand how the practice works within the context of being a fiction writer. Everyone talks about the importance of making your email list bigger. The problem with this common view is that the emphasis is on getting more people, not what kind of people you’re drawing in. Who do you want signing up? Readers who already care about your fiction writing. Not newcomers to your work. Not folks only lukewarm on your books. You’re seeking fans, those who already have experienced your storytelling and want more. They are the most likely to subscribe to your list and the most motivated to respond to your messages. These are the folks you need to be in contact with. Growing your email list is about attracting and retaining your most loyal readers. The better your marketing tactics are organized around this understanding, the better you’ll do. When your subscriber numbers finally do go up, that will actually mean you’re getting the right people. If you want to increase your chances for getting an email subscription, highlight the compelling benefits for being a subscriber. Fiction authors will often mention contests, discounts, and insider extras to encourage an email sign-up. These are excellent choices, because they revolve around your work. But the greatest sweetener of all? Receiving more of your storytelling. Because if that doesn’t help motivate someone to subscribe, then that person really isn’t really a fan. The whole point of your email list is to connect with loyal readers. Now, giving free fiction to your subscribers doesn’t mean you have to go over the top. One story can work, and it can even be a novella or short story. A free story is both an incentive and a thank-you for signing up, and an excellent way to enhance the relationship with your best supporters. The typical email sign-up boxes have very little to them. One to two sentences summarizing an offer, a few fields to enter a name and email address, and an assurance of no spam. Having this simple arrangement in a website’s sidebar makes sense, where the emphasis is on brevity and easy-access. This is an ideal setup for interested readers who know they want to sign up and just need to see where. But it’s not so great for prospects who aren’t so sure. These people need more detail and more convincing. That’s where a dedicated landing page can help. It’s a designated page on your website making the best possible case of why someone would want to subscribe to your email list. The copy would include any necessary background on what kind of writing you do, the type of content in the emails, and any extra incentives you’re offering for signing up. Because you have a specific web page for all this, you also have a unique URL. That makes it easy for you to direct the right people to the landing page. Share your link at the end of all your stories, in social media, or anywhere online when it’s appropriate. Remember, your target audience is whoever wants more of your storytelling. Don’t underestimate the value of a quality landing page. This one step can dramatically increase the number of email subscriptions you get over its lifetime. Most email marketing services offer the feature of initiating an immediate reply message upon sign-up. You can set up one or more emails to be sent in sequence and in pre-determined time intervals, for each instance a new subscriber comes on board. Most authors use autoresponders to send some kind of welcome email. A nice note to say thank you, and perhaps previewing what kind of content to expect. If this is all you do, however, you’re missing out on a great opportunity. What if you released a story via autoresponder, but a chapter every few days? What if you asked your subscribers for their favorite stories and their reasons why? If you received a response, what could you learn? What if you shared a list of books from other authors that you’ve read, just because you think your subscribers would enjoy them? The moment immediately following a sign-up is a special time, because that’s when an interested reader is anticipating something good. Your storytelling is at the forefront of that person’s mind, and you can bet any email received during this limited window will be opened. How will you reward your subscriber’s full attention? Most of us scan the emails in our inbox. Not only scan who an email is from, but also the subject lines to get an idea of the content. According to Copyblogger, on average, 8 out of 10 people will read headline copy, but only 2 out of 10 will read the rest. You don’t want a poor email title to be the reason why a reader dismisses your message. Consider the following two email subject lines. Which one will more likely get someone to click, all else being equal? How to win a chance to have a character in my next book named after you! If we’re to assume your loyal readers are the ones receiving your emails, what kind of headline would make them curious? Excited? Just like the hooks in your storytelling, you want your readers eager to find out more. The few extra minutes you spend on your email subject line can yield huge dividends. After all, if your email isn’t opened, it doesn’t get read. If it doesn’t get read, then your message can’t make an impact. When you have someone’s email address, you have access to an exclusive communication channel. With just a click, you can tap into one of the scarcest resources anywhere: someone’s attention. What’s to stop you from abusing this asset? Nothing, really. And that, of course, is the danger. It’s too easy to add people’s email to your list even though they didn’t grant you permission. It’s too easy to use a hyped-up email subject line then fail to deliver on your promise. It’s too easy to broadcast a message that furthers your own interests but is irrelevant to your fiction writing. Respect is a critical component of trust. When you cross the line, you’re devaluing the relationship between you and your fans. The ability to email your loyal readers is a privilege, not a right. Treat that connection –and the people you’re connected to– with the utmost respect. Email marketing serves a definite purpose. It’s an effective means to support your fiction writing. It’s also an additional commitment to your already packed schedule. Preparing emails worth reading takes thought and care. This can be difficult, especially when time and energy are in short supply. But just because it’s hard doesn’t mean you can’t enjoy the process. In fact, you should. You have an opportunity to be creative through your writing, thrilling in every way weaving your fiction is. You have a chance to engage with a readership that enjoys what you do, and want to hear from you. So yes, email marketing is work. But it shouldn’t be painful or tortuous, like you’re trying to impress a stranger. You’re writing to a friend, someone already on your side, and staying in touch. This very well may be the most enjoyable marketing activity you get to do. Do you have any email marketing secrets to share with your fellow fiction writers? Let us know in the comments! You are so right! I am training a group of authors on email marketing soon, none of whom are currently using it, and was thrilled to see that you also recommend it. I recommend Constant Contact! I love this post because email marketing no longer gets the attention it deserves! Yes, social media is important but email marketing is certainly still relevant. Regularly sending out email newsletters to opt-in subscribers is a great way to stay top of mind. All the tips you mentioned are really very important. So probably you already helped many people with your post. Thanks! This is definitely a more specific how-to than I’ve read anywhere else (if there’s one thing I hate on the Internet more than anything else, it’s articles that tell you you need to do something and then don’t tell you how). I’ve had one of those sidebar “join my mailing list” widgets on my blog forever and never had a single sign-up, and your suggestions make sense. I don’t know if I’m ready to commit to doing more about a mailing list than I already am at this stage, though. Especially writing stuff especially for it. I have a hard enough time updating my blog regularly . Thanks for chiming in, Meg. I can understand your hesitation about the time and effort it takes to write for a mailing list. I would just add that people who self-identifies themselves as fans by signing up to your email list should be considered a different kind of readership than someone who peruses your blog here and there. The former group has shown a higher level of commitment and interest, and if your emails embraces them as such, you may find the additional work more than worth it — even if your list is fairly small. Given that I don’t have a single name on my mailing list after over a year of offering a free story on my website, it’s kind of a moot point. I may set up a landing page, but I suspect it’s pretty much a lost cause. Also, Mailchimp absolutely confounds me. I like Constant Contact much better. Re your website optin, there are 3 factors: how much traffic your website is getting, how desirable is your free offer, and where on the website the offer is located. I finally did figure MailChimp out. Constant Contact costs money I can’t spare for this sort of experiment, alas. Once I did set up MailChimp, I suddenly started getting signups at the rate of a dozen or so a week. I am rather suspicious of them, though, for two reasons. One is that the addresses are kind of hinky (almost all are Yahoo or Nokiamail domain names, with really weird address names, with a sprinkling of eastern European domain names), and two is that when I did send out a newsletter, I had absolutely no response. I don’t know why I’d get hinky sign-ups (I mean, what would they get from them? ), but hey, they’re sign-ups, right? And maybe I just didn’t do my newsletter right. The jury’s still out, though. Way, way out. Sorry. I can’t help being negative about book marketing. If I followed your point #7, I wouldn’t be trying to do it at all, because for me it is not fun (bet you hadn’t figured that out by now [wry g]). It’s simply a necessary evil if I want to be read. It’s okay, I get what you’re saying. It’s neither fun nor easy when you’re in the stage of trying to get your initial sign-ups. You’re still in the process of connecting with the right readers, which is a huge challenge. I know how you feel about book marketing. In your case, it’s especially important to get your interested readers on your email list, when you do find them. I see it as the best way to make marketing less painful for you in the long run. Any specific help on how to find those readers would be much appreciated. Unless it’s a questionnaire on “who is my ideal reader”, because if I knew the answers to those kinds of questions, I wouldn’t need the questionnaire in the first place [wry g]. especially for a beginner like me! What specifically still seems confusing, Terri? One thing I’ve learned is it’s never too late to start an email list. I’ve even learned to enjoy writing for it – I don’t feel as much pressure to impress or sell to people who’ve already jumped on board with me. It’s also nice to see a few extra followers who didn’t choose to Like me on Facebook or keep in touch some other way. Another timely, excellent post from you, Jason. The funny thing is I was reading about tips online this morning about blogging effectively when you’re a fiction writer. The post was phenomenal – and you turned out to be the author. When it comes to managing vs leading, you’re a leader. That’s awesome to hear you’re enjoying sending those emails, Cassandra. The act of writing for your subscribers can be rewarding in the same way writing stories for your readers is. Also, thank you for your praise. That means a lot to me. Great post Jason. These relationships are a writer’s capital. You can’t take them for granted. You’re right, Jake. If a writer is going through the effort to publish, then readers are everything. Really good advice here. I’ll offer my own experience for anyone just getting started with mailing lists. I offer 3 incentives for sign-ups. I started with a short eBook containing 9 short stories. You can’t get this on Amazon or anywhere else. I offer a free English as a Second Language (ESL) book for subscribers, and my ESL site gets a few sign-ups because of that. You can buy that book for $0.99. 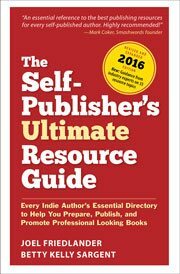 I offer a free Google+ guide for authors and bloggers, and that gets a lot of sign-ups. Overall, I’ve grown my list from 0 to 80 in a year, and I’ve only had about 7 unsubscribes in that time. I send an email on the 1st and 15th and sometimes if I have a special deal. I’ve never sent more than 3 in one month. Some do unsubscribe after they get the gift, but most don’t. I was surprised. That’s interesting that your three incentives are quite different in content. I know that reflects the various areas you write in, but that also makes me wonder what you send in your two emails a month to keep everyone engaged, since your audience could be a mixture of readers only interested in one of the specific areas of your writing. This is a problem, personalizing those emails. I started dividing ESL signups into their own email. It’s a bit more time-consuming, but worth it. I really should just have two separate lists to skip that step. The main problem is that there’s no real incentive to stay on that list, or even open those emails. This is what I find – open rates are low. So you might have 80 people on your list, but only 15 to 20 open the emails you send. That tells me that a lot of people aren’t interested in what I’m doing, they’re just interested in that one thing that they could get for free. It’s true that there’s always the possibility that some people will subscribe only to get your sign-up incentive, and have no interest in anything else you send. I don’t know if I consider that a drawback, however — after all, that person did sign up to get something you wrote. If that someone ends up valuing your writing there’s always good that can come of that. I think the danger of false fans manifests itself when your sign-up incentive doesn’t align with your actual work. We can all see if you offer a virtual coupon for a free candy bar (as a silly example) for signing up, people may want the candy but have no interest in your writing. That’s the reason why I mentioned that if you’re a fiction writer, a free story makes sense; the incentive is congruent with what you do. The emphasis on quality over quantity is refreshing. That’s not the usual message that’s out here. Right now I don’t have a dedicated sign-up page, and I’ve resisted because I couldn’t see the point. But after reading this post, I totally get it. Glad you found some good takeways, Deborah!